The office holders of Northern Society of Chartered Accountants are supported by a number of ICAEW staff who are based in our region. 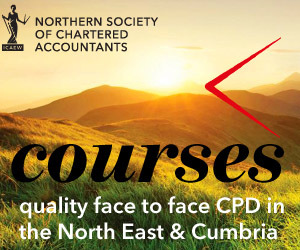 James looks forward to working with Northern Society and other district societies in his area and the regional team to support our local member groups, further raise the profile of ICAEW and building on existing programmes as well as exploring new opportunities and connecting with members across the wider region. James was formerly Director of Research & Enterprise Services at the University of Newcastle. He brings with him a wealth of experience in working with and connecting senior people and key stakeholders. Joanne coordinates our programme of activities as well as communicating with and supporting Northern Society members across the north east and Cumbria. Joanne’s role also involves promoting ICAEW and Northern Society. Lorna is one of 11 Business Development Managers working throughout the UK, to encourage and support training in ACA and other ICAEW qualifications including CFAB. Lorna and her colleagues also carry out student inductions at firms’ premises. These inductions give students background to the Institute and covers roles and responsibilities of the students and of the Training Partners. Lorna has been working for ICAEW since 2008, although her association with the Northern Society and ICAEW goes back a long way. Lorna’s husband Alan Hansell served on the NorSCA committee and is a former partner of BDO Binder Hamlyn. Alison is responsible for the administration and organisation of events for ICAEW Members in Scotland (IMS) and events in the Northern region.